Just like our IMA Heavy Weight Jacket, our D-Ring Jacket is handmade in our factory. 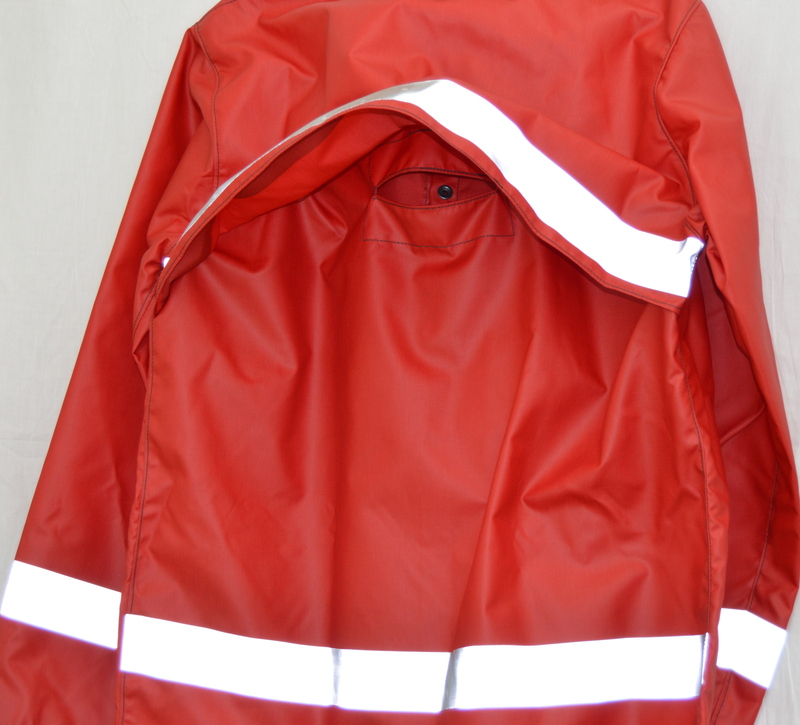 We take our Heavy Weight Jacket and put a flap on the back so you can tie into a safety harness. This keeps you safe, especially if you’re working around an open hole and need to be connected. 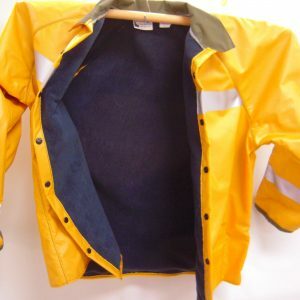 The flap over the hole for the D-Ring helps to keep you dry while allowing for a more breathable jacket. Available in Red or Yellow.